And yet, I see how much I grab my phone whenever there is the apparency of “downtime.” It’s a habit. This weekend, I listened to the Being Here podcast “Unconnected and Unimportant.” I was intrigued by the idea of seeing myself as “not needed” online if I choose to take a break from that world. I was also intrigued by the idea of simply disconnecting from social media, and all computer-related things. The main point of the show wasn’t that social media or news or the internet is bad. It was simply that by allowing ourselves to take a break from those things, be it a few hours, or even a week, we can rejuvenate ourselves and discover new levels of productivity. The show also talked about how our devices allow us to avoid the intensity and intimacy of being with others. One caller talked about how she and her husband sit on the couch, apparently next to each other, yet they’re both on their phones and are in fact, worlds away from one another. This week, I got on the subway to go from the Bronx to Manhattan. Once I got settled in a seat, I took out my phone to check Facebook, Instagram, and my personal email. When I looked up again, there was a completely different group of people on the subway. I put my phone away for a bit and gave myself permission to just be there. A little girl with a cello was sitting next to me, with her mother. They were discussing a book the girl was reading. A two-year-old across the aisle was being fussy and whiny with her mother. The mother said, “Stop.” The little girl cried. Her mother was masterfully neutral. Then the little girl proceeded to hug her mother and begin to giggle. The mom hugged her back and played with her. Nothing particularly amazing. Yet there were sweet moments, and I remember them. I was there for them. Returning home later that evening, I took a Juno (a rideshare company). In the car, I said “hi” to the driver, then automatically took our my phone. I saw some new “likes” in Instagram, but then realized: why not just look out the window? Looking out the window, I saw my driver take a different street than I’m used to. I saw how the purple lights of the Yotel reflected on the building across the street so that it seemed to be an entire neighborhood of violet and purple. On the Henry Hudson, I gazed out the window at the lighted cruise ships against the background of lights from New Jersey. I enjoyed the smooth ride onto the Cross Bronx, blissfully fast and uncrowded at the time. I still remember what it looked like. And after a while, I took out my phone and looked at some friends’ Instagram photos. I felt like giving some friends attention, seeing what they were up to. I didn’ make myself wrong for it: “unconnected and unimportant” was a new possibility, but not a rule for every moment. 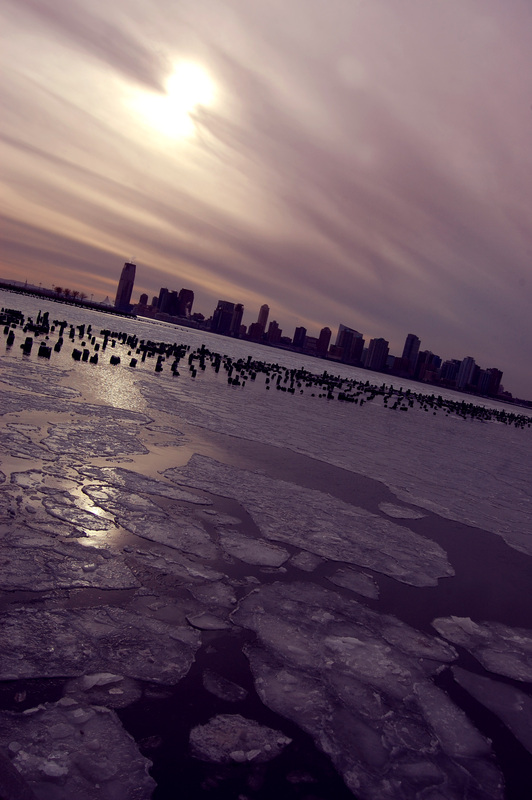 Photo Credit: Ludovic Berton, “Back to Quiet on Hudson River,” Creative Commons License.